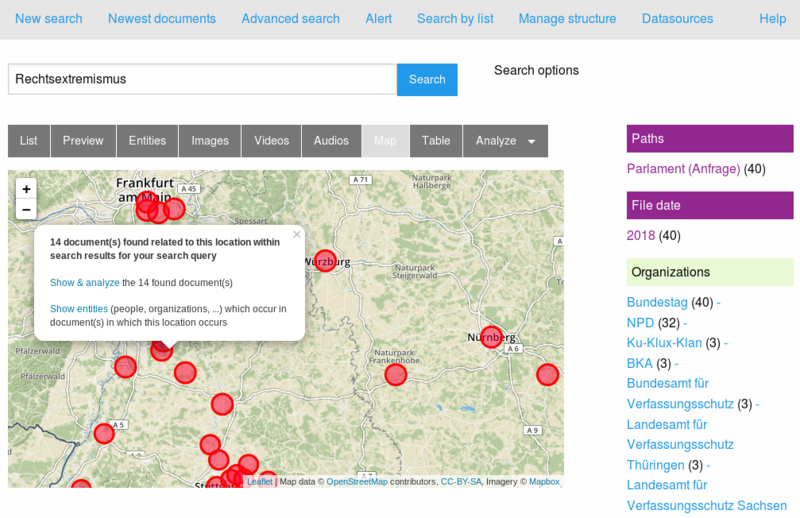 Aggregated overview and named entities in the right sidebar shows you: Who? Which organizations? What? Where? When? In how many documents? 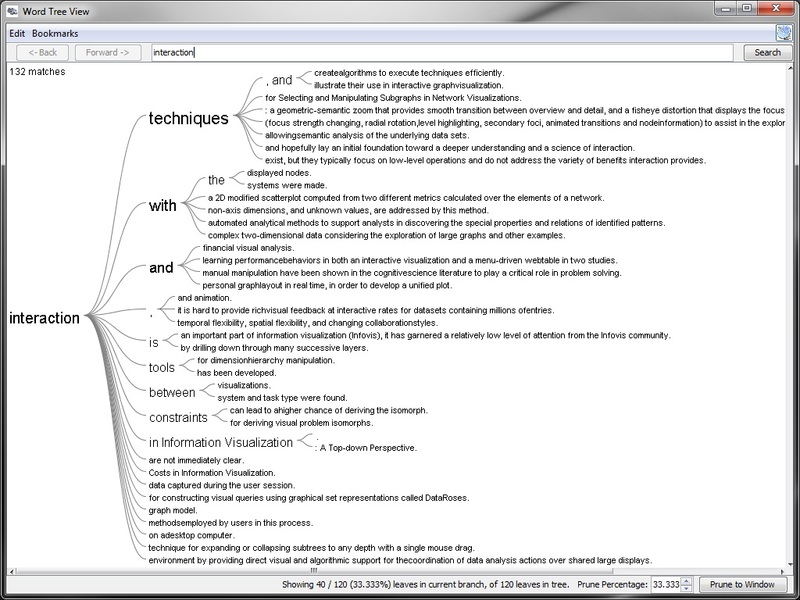 The preview shows the extracted text of a document. Search context like the search query or active filters are marked within the content, so you can see fast whats important for you and why this document matched your query. 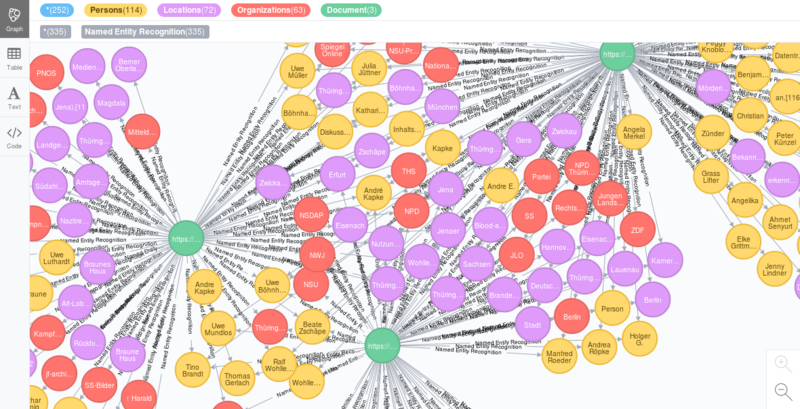 The graph view generates data visualizations of networks, connections and relations between named entities like persons, organizations or tags from the content of your documents. 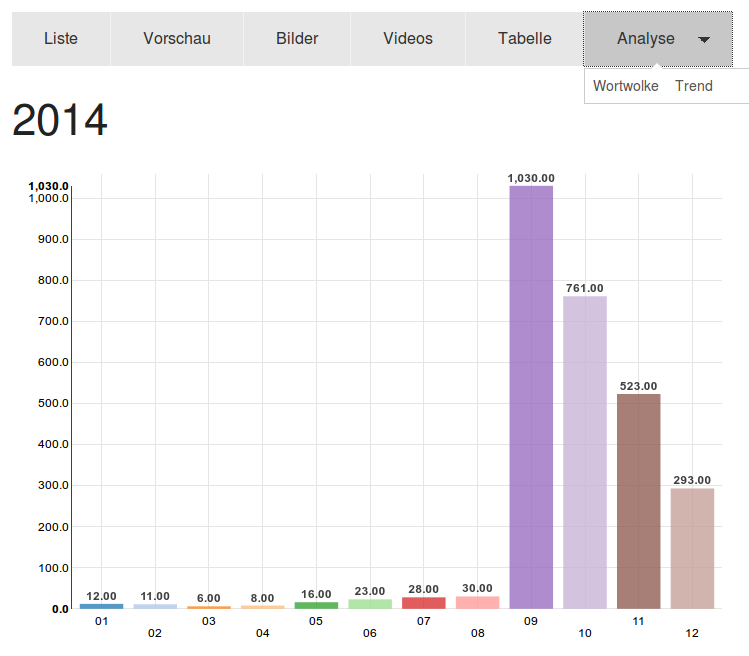 Trend chart: When how many results or documents? 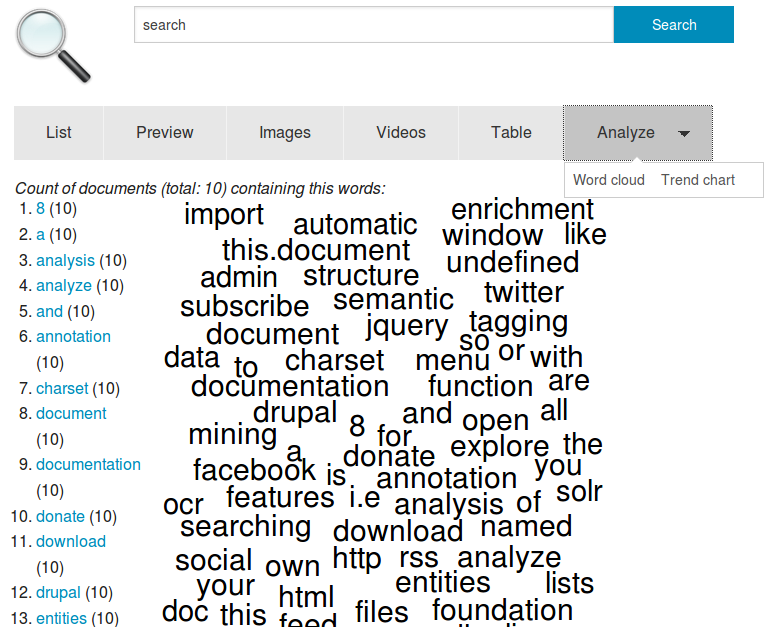 Text analysis, text mining, document mining and words: What is the content about? Show differences and focal points, core areas and key aspects by comparing word frequencies to find out what concepts or entities are overrepresented in documents in comparison to other documents or text corpus. Compare two texts / versions to show differences or same/copied passages. 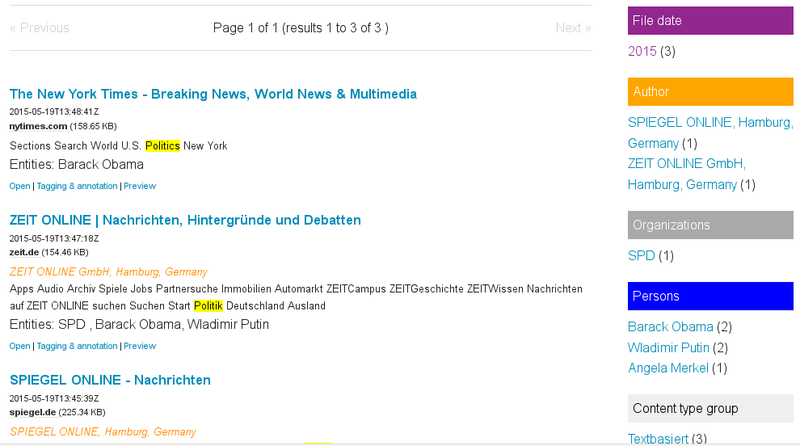 Find similar text or documents about the same topics by klicking on "more of that".